Speaking at the AGM of the Willie Cremins Limekiln-Greenhills Branch of the Labour Party, Looney, a 26 year-old national schoolteacher, said that while the budget was rife with attacks on working people and the elderly, attacks on education were among the most despicable of all. “I am lucky enough to teach in a fantastic school in Tallaght, but to ask teachers like myself to implement the new Curriculum with more than 30 pupils in class in this day and age is ludicrous,” said Looney. It is nothing short of a national disgrace that the Government is hitting our old age pensioners to cut their budget losses with the abolition of the automatic entitlement of over 70s to medical cards. For a long time the government’s right wing agenda has meant we have had a two-tier health service. But this decision will effectively give our pensioners a four-tier health system. Some will have medical cards, others will have GP cards, some will receive their €400 in cash, while others will have nothing at all. There is genuine fear, anger and utter confusion among retired people over the treatment meted out to them by Fianna Fáil in this week’s budget. The removal of the medical card from over-70s will have a serious impact not just on people’s finances, but on their health. While considerable attention has been drawn to the adverse financial implications that the government’s removal of the medical card will have, the implications for the state of their health are as bad if not worse. We know for example that the medical consultation rate for people who became eligible for these cards jumped by 73%. This removal of the requirement to pay has meant more people going to the doctor for a check-up, a flu vaccine or for a routine visit and as a result, illnesses that can be identified at an early stage are being caught. This means that people are being treated before their condition becomes chronic, when they would invariably end up as a patient in hospital. We also know from census data that the percentage of people over 70 who had a disability dropped appreciably between 2002 and 2006. It’s not unreasonable to conclude that this is as a result of better access to primary care and improved management of existing health conditions. GP services and prescriptions are not the only services that will be out of bounds for those losing their medical cards. This ill-thought-out plan means they will not be able to get access to flu vaccine, home help packages, incontinence wear, dressings, nor to community physiotherapy and occupational therapy services. Simply put, this decision must be reversed immediately. This stingy Government targeted old people, workers and young families instead of their own developer buddies and the super rich. They’ll bail out bankers and speculators but not elderly people who have worked and contributed to society for all their lives. Labour is committed to a different kind of politics and a different kind of economics – truly putting people before profit. Dermot Looney, the 26 year old Labour Party candidate for next year’s local election in Tallaght Central, launched his campaign on Monday October 13th at a rally in the Greenhills Community Centre. Looney was joined in launching the campaign by Labour leader Eamon Gilmore TD, local TD Pat Rabbitte, Mayor Marie Corr and outgoing Councillor Eamonn Walsh. Looney, who works as a primary school teacher in Tallaght, has been campaigning for election since March 2008 but was previously involved in a range of local, national and international movements, including anti-war and anti-racist activism, development issues and workers’ rights campaigns. Speaking to a crowd of more than 70 local residents and supporters, Labour leader Eamon Gilmore noted Looney’s commitment to local communities in Greenhills and the wider Tallaght area as the hallmark of Labour representation. “In Dermot Looney, local people have a vibrant, energetic and committed young candidate; a rising star who represents all that is best about Labour values,” noted Gilmore. Outgoing Cllr Eamonn Walsh, who was presented with crystal from his native Tipperary to mark his impending retirement from the Council, noted that Looney was the best hope for local people at a time when the Government hit working people hardest. 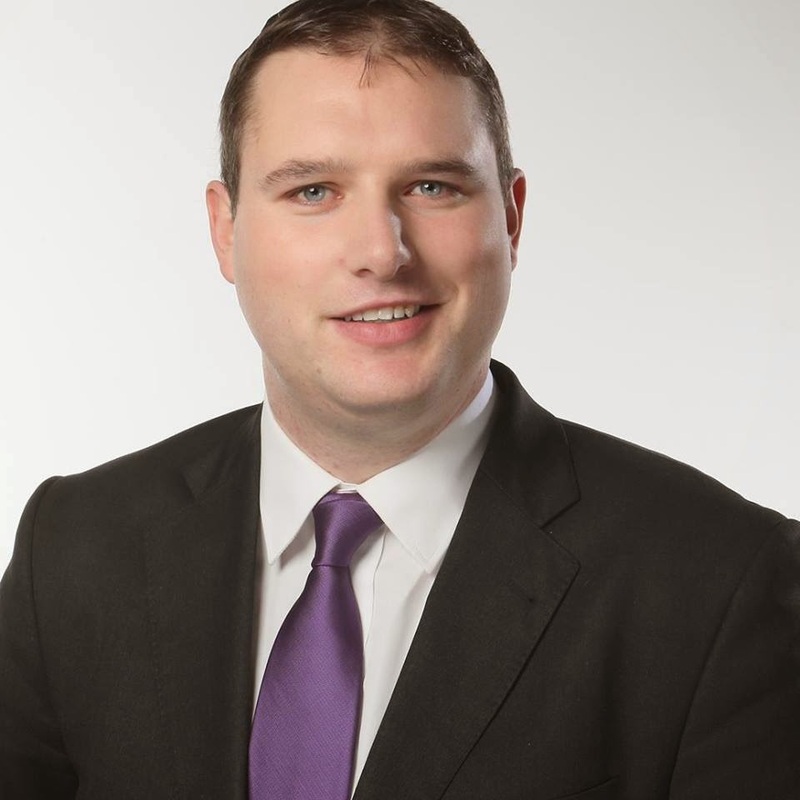 Local TD Pat Rabbitte called Looney “a magnificent organiser” and said that, along with fellow candidates Mick Duff and Pamela Kearns, Labour offered the real alternative in the new Tallaght Central Ward. “Labour are the real alternative for Tallaght Central. Fianna Fáil must not be allowed to get away with it again. Fine Gael offer nothing but a conservative critique. At least the PD’s, whose policies have caused much of the mess, have had the decency to admit defeat and walk off the stage,” said Looney. We have been on the campaign trail for 6 months now. Our message of commitment to public services and community values has been met with an extraordinary response on the doorsteps. 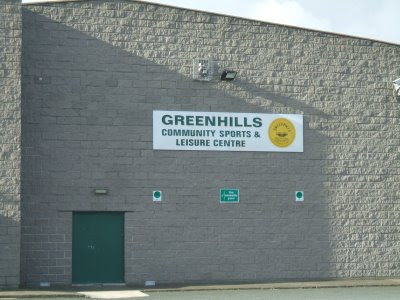 Most recently, almost 500 local residents signed our petition calling for action on an eyesore which has dominated Greenhills for 5 years (see below). We have made all the right headlines, recruited new members to the Labour Party and taken the first few steps to ensure the Labour voice is heard loud and clear in next year's elections and into the future. Now it's time to formally kick off our campaign in style with an official launch night, with special guest Eamon Gilmore TD (Labour Leader). Where: John Walsh Memorial Room, Greenhills Community Centre, Rere St Joseph's Road, Greenhills, Dublin 12 - find it here. When: Monday, October 13th at 7.30pm sharp! More Details: Refreshments will be served on the night. Labour Leader Eamon Gilmore will speak about Labour's alternatives for the economy, given that the Budget will be announced the following day. The entire event is informal - it will take about 90 minutes and there will be a chance to talk to the invited guests. There is no fee as this is not a fundraising event! I would really appreciate if you could make it along next Monday. The kind of support I have received from family, friends and political comrades has meant for a truly democratic, grassroots campaign. This night belongs to all those who are involved and who plan to get involved - no matter what the level. It's bound to be inspiring and engaging; a celebration of where we have got so far, and a commitment to a winning campaign for 2009. If you are interested in coming, why not bring a friend or two from the local community? The event is open to all and the more people who get to hear the kind of ideas and policies we are promoting, the better we will do. If you'd like to let me know if you can make it on the night, it'd be helpful to our planning. But there's no need to RSVP formally, so even if the mood takes you next Monday, drop by! Quick diversion now to the US Presidential campaign. It got me thinking. What with refusing to allow Palin access to the media for even the simplest of questions, with the constant focus on repeating soundbites, and the handlers referring to her using words like 'energy,' and 'commitment,' wouldn't this be more appropriate? Something very exciting indeed has happened in Greenhills this past fortnight. After more than 5 years of witnessing neglect on our doorstep, we stood up as a community and said ENOUGH IS ENOUGH on the McHugh’s eyesore. The petition I launched 2 weeks ago on behalf of local residents has already amassed an extraordinary 450 responses from our community. And, finally, by working together we have had something of a victory on the site. Responding to an Area Committee question from my colleague, Cllr Eamonn Walsh, the Council have now confirmed the site as derelict under the 1990 Derelict Sites Act. This decision leads to a number of possibilities. Firstly, the developer is now required to clean up the appearance of the site under what is called a Section 11. Secondly, the Council have confirmed that legal proceedings may occur if relevant work is not done. Thirdly, the pressure is now on both the Council and the developer to act on the site. I believe that in the interests of democracy and resourcing our community, the Council should purchase the site – a mechanism now made possible by declaring it officially derelict. The mass community campaign I have launched with hundreds of local residents has put further pressure on the Council to initiate this CPO (Compulsory Purchase Order). Declaring the site derelict is the first step to a CPO – but only a community-led campaign can make it a reality. Our campaign has also put the spotlight on this rogue developer and his pathetic excuses for this eyesore. Our campaign has already made the front page of the Southside People, and has had huge coverage to date in papers such as the Tallaght Voice and the Echo, meaning that McHugh is acutely aware of the powerful campaign we have built and the message we have put forward. We have joined together to demand that he cleans up the site and ensures the community services we need locally are provided – and we have made clear that we won’t wait. Many thanks to those who have already taken the time to sign the petition – many of you taking the trouble to post letters, drop them to my door by hand, or register online. If you haven’t signed yet, please take ten seconds to sign here. I will join with Cllr Eamonn Walsh to present our petitions to McHugh and the Council in the coming days. We will continue to be in constant contact with local people in building this campaign and keeping you informed and updated. Please get in touch with me at any stage to discuss how we can advance this campaign. Together, we will remove this eyesore and change Greenhills for the better. 2008 was almost the Year of the Digout. Now, it seems, for us and our friends in the United States of Freedom, it's going to be the Year of the Bailout. Never forget what has happened the past few days. The Irish political establishment, carrying the Greens and Sinn Féin in tow, voted en bloc to provide the biggest welfare cheque in Irish history to some of the wealthiest companies and individuals in the country. As a Labour Party member, voter and candidate, I am proud of the stance our party took inside and outside parliament on this bill. I would encourage blog readers to take 5 mins to read what you won't have heard in the mainstream media. the Minister for Finance is describing the external conditions, such as what he calls "the credit crunch" as a kind of international flu. I wish to state immediately that those who want to look at the different models of international finance must conclude that a debate is taking place at present in Washington about how one should respond to the failure and collapse of the neoliberal model of non-regulation. There are matters for which the Government has explicit responsibility. One cannot blame the relationship between the Fianna Fáil-led Government and the speculative component of the building industry on the Washington consensus. My colleague Michael Taft, who regularly posts on Irish Left Review as well as his own Notes On the Front, has a series of insightful articles on the shambolic economics of the past weeks on his blog, chief amongst them September 30th's entry in the Recession Diaries. Let’s be clear: these are institutions who have in the past engaged in widescale tax evasion, pursued investment policies that starved our economy and recently have been full and gleeful participants in the lunatic preoccupation of property speculation. And the Government has not just guaranteed deposits but liabilities as well – to the tune of between €400 billion and €500, or up to nearly three times the size of the entire economy. This is about maintaining a system whereby the ‘commercial’ (and I use quotation marks deliberately) decisions of a handful of people determine the economic health, welfare and future of everyone in the land. And now these ‘commercial’ decisions are no longer subject to the ‘discipline of the market’ (whatever the hell that might mean anymore), but rather to the largesse of a desperate and pliant Government. No accountability, no oversight, no new disciplines: in my book, if someone guarantees the consequences of my actions, then I can have no complaint when that someone rightfully demands accountability over my actions; and extracts a fair price. But not here, not in Fianna Fail-land. No one questions the need to keep banks afloat. To say that markets need capital is an insulting tautology. The issue here is on whose terms – the bankers or people, business, the economy. That George Lee, not known for spouting demands for the nationalising the commanding heights of the economy, pointed out that the Government could have bought half the four major banks for a cool €5 billion, suggests that taking the route that US and European authorities have taken is not so far-fetched. That capital injection would have provided much-needed liquidity and would have given the taxpayers a real stake in these institutions. This, then, could have been followed up with not only guarantees but an intervention in the investment practices themselves, specifically a redirection of 1% to 2% of banks lending portfolio into Enterprise Development Funds which would finance our indigenous base (this would have won support from huge sections of the business community). Something like this would have been a rational approach. But it would have involved a socialisation strategy that is anathema to the Right. So what we get instead is capitalists without the capitalism, capitalists with a big fat welfare cheque, capitalists who are not allowed to fail no matter how unworthy their efforts. This is the system we are paying to save. Extraordinary. And don't forget who is giving the bailout to their banking buddies, who is responsible for an inflated economy, whose connections to builders and speculators are now causing pain to hundreds of thousands of working people, and whose economic system has been proven for the house of cards it truly is. There is an alternative, and it isn't to be found in Tweedledee to Tweedledum, or Podge to Rodge. Labour's plan for the economy is here.